Anouar Hadouir started his football career at the Willem II football academy. In August 2007 he moved to Roda JC where he played for four seasons. In July 2011 he moved abroad to neighbours Alemannia Aachen in the German league. The season ended in a relegation and Hadouir has left the club. The offensive midfielder returned home to sign a 2-year deal until 2014 at NAC Breda on a free transfer. In summer 2014 he went abroad for the second time in his career. 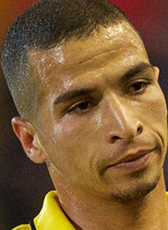 He moved to Morocco to sign a 2-year contract at champions Moghreb Tétouan. Dutch-born Hadouir is of Moroccan descent. Since July 2016 Anouar Hadouir is playing for Excelsior Rotterdam.